Sala Thai is a small roof raised platform covered area for people to sit. There is this Asian or Thailand form of Architecture called Sala Thai, I have observed it for years, maybe now I am learning a little more about. This type of architecture appears to me to revolve around the need to wait. This is for the Thailand Police, a waiting or stopping point. 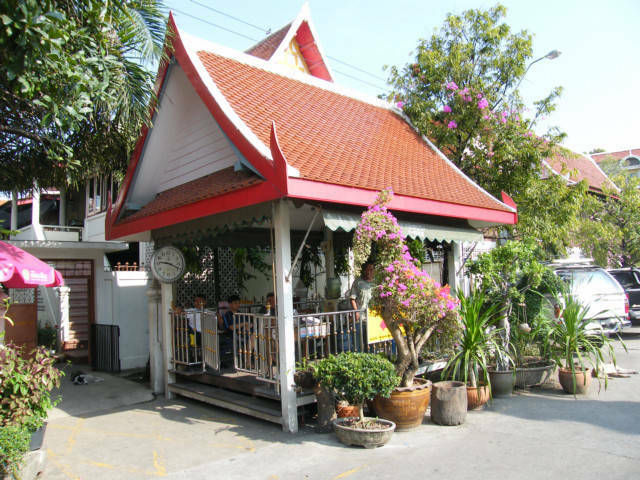 This bigger photo shows the Sala Thai nestled in front of the apartments for the Wat, this is behind the large Wat or Buddhist Temple close to Khao San Road. 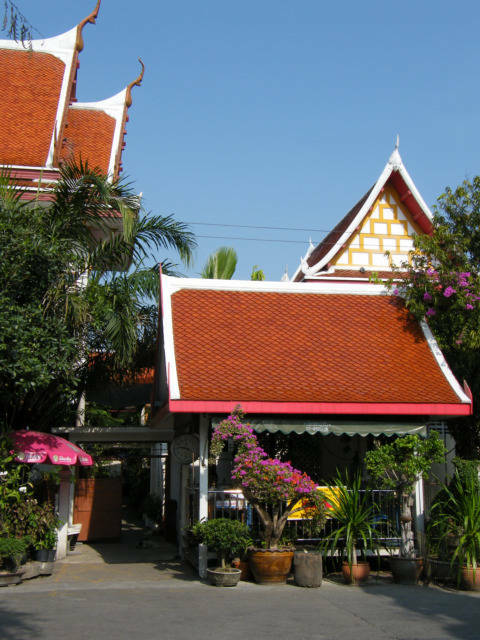 The Sala Thai is on the right rear corner before you enter an area of apartments for Monks. I am not positive on this information. Everyone on the planet there is a need to wait, for a bus, a horse cart, or just to wait for the day to pass. They will make a roof above these small waiting points for protection from sun and rain.